If you've been wondering how Julian Assange has kept himself busy lately, he's been getting into the rag trade. That's right, guys. A WikiLeaks clothing line now exists, because nothing says "toppling the unjust societal superstructure" like branding yourself. Be on the lookout for shirts featuring Assange in a Che Guevara-style pose. The Washington Post reports that Assange is involved in an endeavor to open a chain of WikiLeaks-branded stores in Indian shopping malls. They've already opened a fledgling E-Commerce site. In addition to peddling home goods, stationery, and accessories, the stores would sell "high-end fashion apparel." Various French fashion designers have reportedly reached out to the company to express an interest in working with them. So, when they say high-end, do they mean that there will be a line of Givenchy x WikiLeaks leopard-print handcuff bracelets? How about a Margiela-designed smock embellished with whistles and images of Assange quotes? Just spit-ballin’ here, guys. At the moment, it looks like they're starting small. The Official WikiLeaks Online Store currently offer a selection of tees and sweatshirts, tote bags, hoodies and mugs emblazoned with company slogans. On the site, you'll find an "Enemy of the State" hoodie, an Edward Snowden tee, and a shirt with the saying "Hackers of the World, Unite." With Christmas is coming up, you need something to get for your little cousin who's heavy into digital espionage. Kristinn Hrafnsson, a spokesperson of Wikileaks, detailed that this project would allow supporters to "donate indirectly" to their efforts and that the majority of their profits would feed back to the organization. She also says that this effort will prevent the "abuse of the WikiLeaks logo." 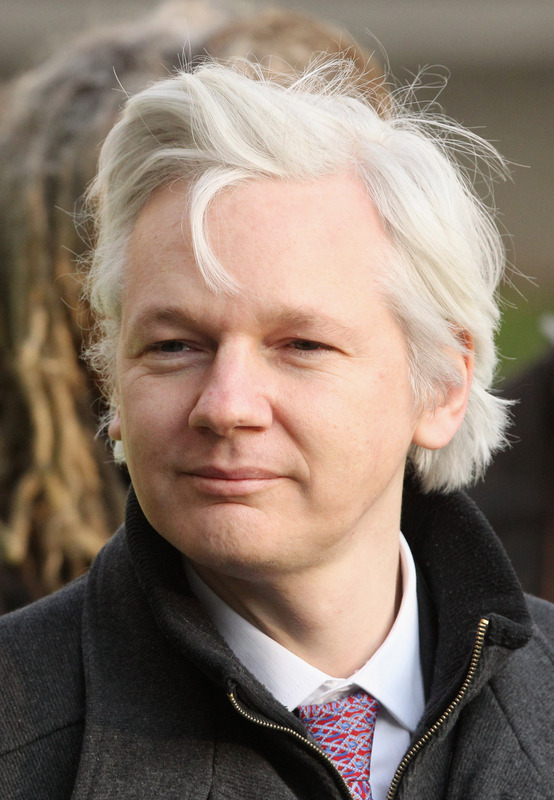 Meanwhile, Assange is reportedly residing in London where he has been given asylum. I'm guessing that he wears the "Orwellian World" tee as a pajama top.